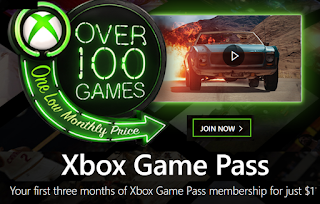 3 Month Xbox Game Pass Only $1 - New Accounts Only. 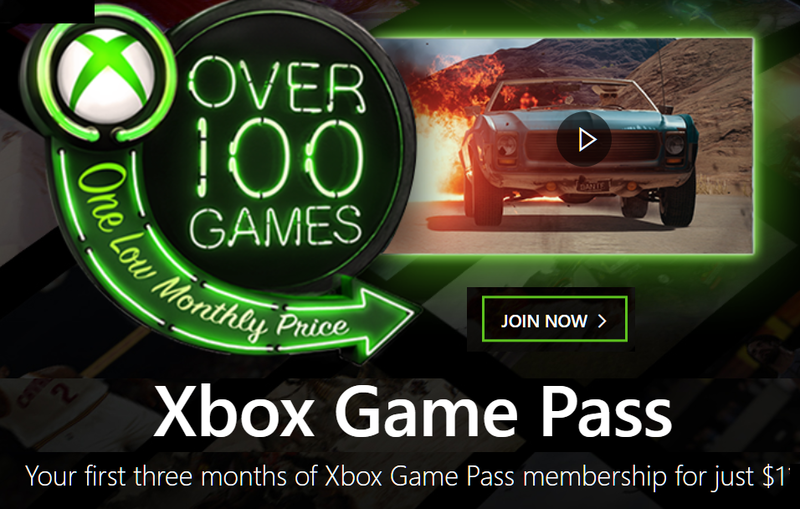 Play over one hundred great Xbox One and Xbox 360 titles - unlimited. It's like you bought the game and can play as many times as you want as long as you have your membership. New games added all the time as well and you will have over 100 games to chose from. If you have an Xbox you definitely want this especially for just $1!! After you turn it off there will not be any other charges at all besides the $1 you paid.